Danish Warmblood Breeders and Stallions Directory - O Horse! 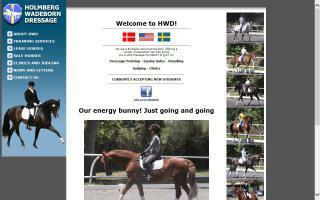 Breeder of Danish Warmblood dressage horses. We are the home of the Elite Danish Warmblood stallion, Rambo. We offer dressage training, breeding services, and horses for sale.